The presentation will explore varying constructs of the body in an age of Mixed Realities and Circulating Flesh. People will increasingly become portals for sensory feedback and for remote manipulation, becoming extended operational systems performing beyond the boundaries of the skin and beyond the local space they inhabit. Bodies have become chimeras of meat, metal and code. 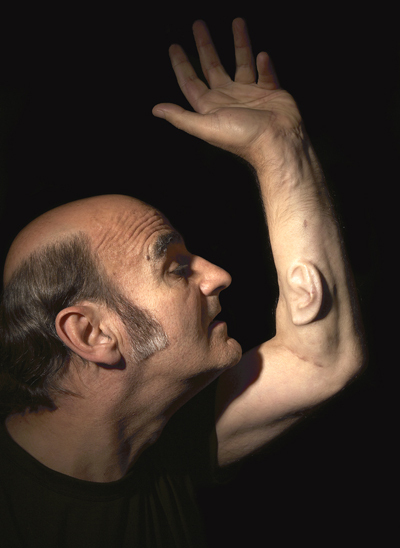 Stelarc will show videos, animations, demonstrate the Prosthetic Head project and will also show his extra ear which is presently being surgically constructed and cell-grown on his arm. 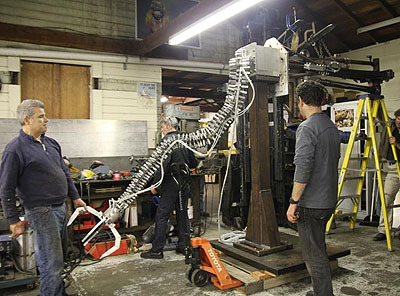 Mark Pauline - Spine Robot Lives! Mark Pauline originated and developed the concept of large scale machine performance beginning in 1978 with the founding of Survival Research Laboratories. Staged over 57 machine performances in the US, Europe, and Japan as director of SRL. The most recent performance was staged at MOCA in Los Angeles, September 2011. Mark constructed and designed dozens of large, complex robots and machines for use in these performances and has trained and supervised the efforts of over 400 assistants in the art of machine performance. Mark has given over 180 lectures, panel discussions, and seminars such as Oxford University, Yale, Commonwealth Club of SF, etc. and has over 150 TV spots in the US, Europe, Australia, and Japan ranging from interviews and video documentation specials t o anonymous reports of mechanized pranksterism. There have been over 450 articles and interviews both in print and online in such publication s as Wired Magazine, NY Times, 21 C, Wall Street Journal, etc. Mark's awards include: NEA Interarts, Art Matters, California Arts Council, Fu nd for US Artists at International Festivals, Fleishaker Foundation, New Langton Arts Exhibition Grant, etc. Bay Lights is an iconic light sculpture designed by internationally renowned artist Leo Villareal. 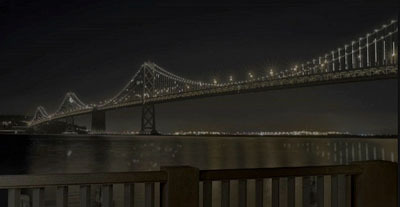 This stunning fine arts experience will live for two years on the Bay Bridge West Span starting with a Grand Lighting in late 2012. Created with over 25,000 energy efficient, white LED lights, it is 1.5 miles wide and 500 feet high, viewable from San Francisco and points north but not by drivers on the bridge itself. Leo Villareal orchestrates complex, rhythmic artwork composed exclusively of points of light; his groundbreaking work is part of the permanent collection of major museums worldwide. 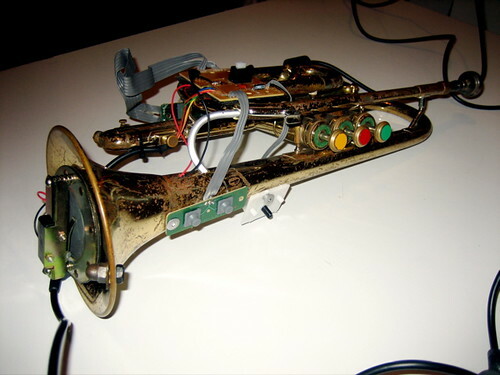 He received a BA in sculpture from Yale University in 1990 and a graduate degree from NYU Tisch School of the Arts, Interactive Telecommunications Program (ITP). 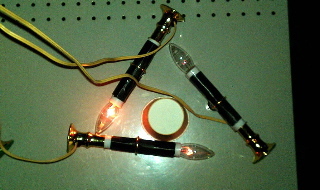 Using the fact that electric LED candles that automatically turns on at night (via built-in sensors) can be considered light "inverters", the 12 Bill has attached to magnets can be positioned into various configurations to create flip flops (stable), ring oscillators (unstable) and other simple digital circuits.